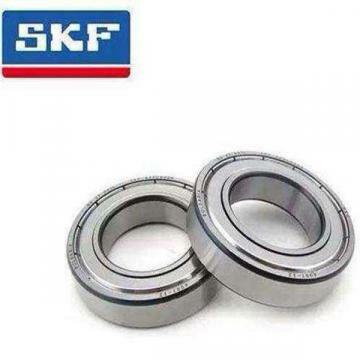 Turbine radial bearings are divided into fixed-watt bearings and tilting-tile bearings class two. 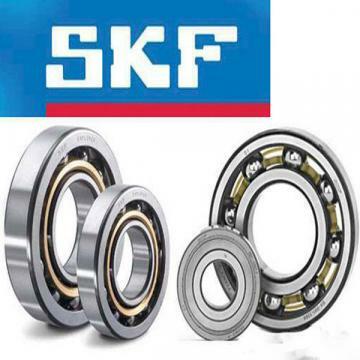 Fixed-watt bearings have cylindrical bearings, oval tile bearings, multi-oil wedge and multi-oil leaf bearings (not currently used). Ordinary cylindrical bearings, consisting of the upper and lower halves. The outer circle of the lower half bearing is provided with three radial adjustment pads, and a radial adjustment pad is arranged on the top of the upper half bearing for the bearing adjustment. The oval tile bearing is a self-position bearing, which has the advantages of less structure, and directly pouring babbitt on the surface of the bearing, the Neva surface of the bearing is processed into oval form. Four tilting pad bearings, on the back of the upper half of the two tile, in the direction of the oil at the exit with a spring, so that the tile in the back of the tendency of pressure to the rotor, to prevent the tile of the oil side and the shaft to create a bad tendency of braking, while on the side of the surface of the oil into the slope to facilitate. The upper half is a round tile, the lower half consists of two tilting tile of tilting tile bearing, the stability of the bearing is stronger than the cylindrical bearing, bearing capacity than the general tilting tile bearing, with tilting tile bearing on the eccentric load and misalignment of the sensitivity of teaching small advantages. At present, the new type of surface oil inlet is provided with tilting-tile bearing with oil inlet groove, and the lubricating oil adopts direct oil supply and oil discharging method. Each tile has an inlet tank, the lubricating oil is discharged directly after working on the tile surface, and has a small power dissipation. Turbine Bearing maintenance including inspection of the contacting, adjusting the tilting pad bearing, the bearing gap measurement. uniform contact area between the bearing housing and the bearing seat of greater than 75%, and the respective adjustment between the spacer and the spacer shims to adjust the contact between the pad and a uniform contact area greater than 75%, each tilting pads with a respective mandrel matching, uniform contact area is greater than 80%. If the bearing in the correct position, the rotational axis of the bearing and the radial line about 2 to 4 degrees, the movement should be performed step by step, only once in each direction a little bit, to avoid rapid traverse, otherwise not reflect the actual imprint surface contact situation. If the repair requires a lot of work: when tinkering, grinding efficiency higher than repair scratch. It should be carried out carefully to avoid grinding housing when the geometric distortion, it is important. May be used to polish the spherical flap wheel housing, wheel size recommended 160-180. It is recommended when using a spatula finishing. (1) to calculate the amount of the thickness of the lower pad half shims to adjust the rotor to be adjusted in accordance with the data. For example: If you want to raise the rotor 0.20mm, about half of the two must be replaced with shims than 0.20 × 0.7 = 0.14mm thick spacer gasket original (backup pad by machining); if we want the right rotor shift 0.20mm, put the lower right pad rubbed 0.20 × 0.7 = 0.14mm, while the lower left and then replaced with shims thicker than the spacer shims of 0.14mm (backup pad by processing). (2) after a change in thickness of the shims half pad, in order to ensure constant bearing gap, it should be changed accordingly pad shims half diagonal orientation. For example, the adjustment shim # 3 0.14mm thick tiles, tiles adjusting shim is # 1 should be thinned accordingly 0.14mm. (1) measuring rotor journal diameter: selecting a plurality of measurement positions, the mean value, compared with design values drawings, It should match. (2) measuring the inner diameter of the pad: the pad inner diameter of the bore size is subtracted from the pad and the pad housing and the overall thickness of the shims worth. ① Measuring housing bore: the upper and lower housing half split by a bolt, the torque of tightening the bolt in accordance with regulations, and # 1 respectively measuring, at the inner diameter and the pad # 3 # 2, # 4 at the pad. ② were measured # 1, # 2, # 3, # 4 tile thickness and spacer shims to their assembly. The tiles can be placed on the mandrel fastener (greater than or equal to the mandrel diameter rotor journal, tile inside diameter of less than or equal), the standard and the sample is measured by block table. Double pads outer cylindrical surface, which must be measured to the highest point measured. (3) Calculating the bearing clearance according to the measured data, the bearing clearance is equal to the inner diameter minus the tile component thickness minus the rotor journal.